iron stef: Chicken Strips and 5 Dips! Friday Night was chicken strip night! 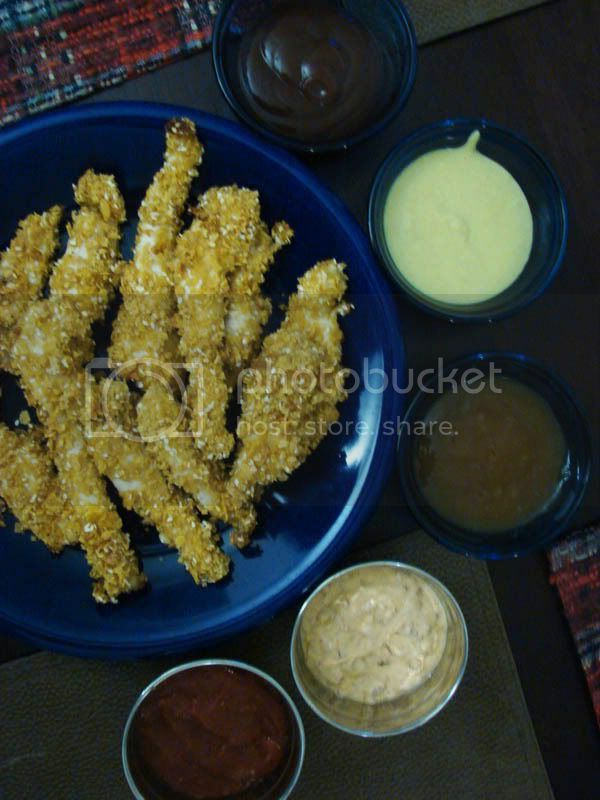 I made a bunch of Ellie Krieger's chicken strips again, and Jack made a variety of sauces for dipping them in. 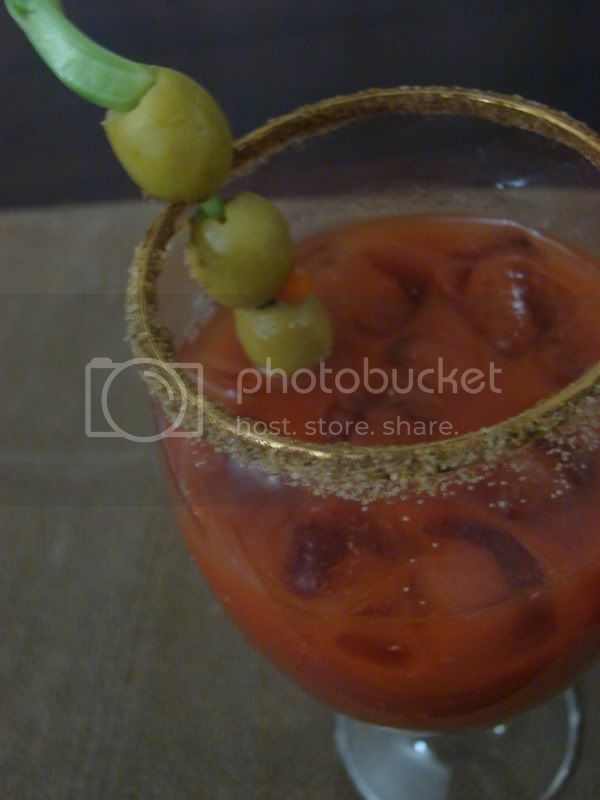 He also made some awesome Bloody Marys, and we watched movies. It was a nice night! Sweet Baby Rays Barbecue Sauce, Horseradish Honey Mustard Sauce, Sweet & Sour Sauce, Chipotle Yogurt Sauce, Cocktail Sauce. Mix all ingredients. Adjust for heat and/or sweetness as desired. Cool and serve. In a small container, mix the corn starch with enough pineapple juice to dissolve. In a saucepan, heat the vinegar, brown sugar, and the rest of the pineapple juice. Add the ginger, garlic and cayenne (optional) and boil for up to 2-3 minutes. While boiling, add the corn starch/juice mixture and stir until thickened. Cool and serve. Mix all ingredients. Adjust flavor as desired. Cool and serve. Now THAT's a good Friday night, people! You are really going all out with this bacon bidness! Bacon infused vodka? WOW. It's only a matter of time before you make it. I know it.